The reviews are in! 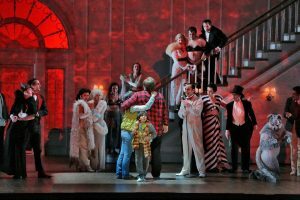 On May 7, the Minnesota Opera premiered Paul Moravec’s opera The Shining to excited and enthusiastic cheers. Opening night played to a packed, standing-room only crowd filled with eager young opera-goers and seasoned opera-veterans alike. 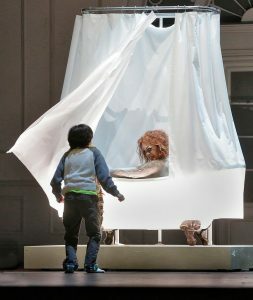 Based directly on author Stephen King’s 1977 best-selling novel, the opera featured a libretto by Mark Campbell, stage direction by Eric Simonson, costumes by Kärin Kopischke, and screen design projections by 59 Productions, as Michael Christie conducted and led a stellar cast of singers. 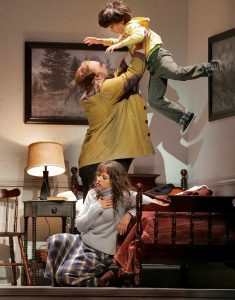 The Shining continues its sold-out production on May 12, 14 and 15. 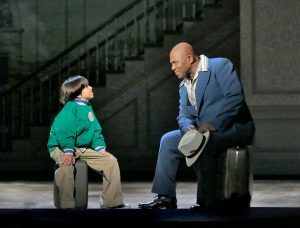 Read on for a sampling of some of the opera’s rave reviews! 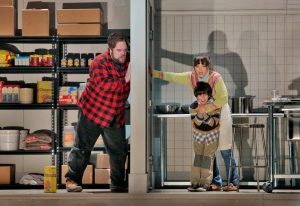 “Solid, Effective, and Successful” — “The Saturday (May 7) premiere of The Shining by Paul Moravec at the Minnesota Opera was clear evidence of the vigor of contemporary opera in America. 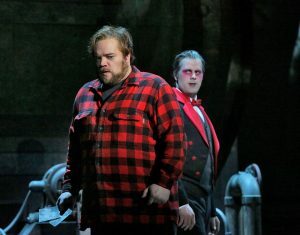 The opera, based on the Stephen King novel… is a solid piece of work, dramatically effective, musically successful, and destined to be popular…The Shining received a stunning production that realized the full potential of the score.